Santa recently brought some early presents for my kitties and puppy. 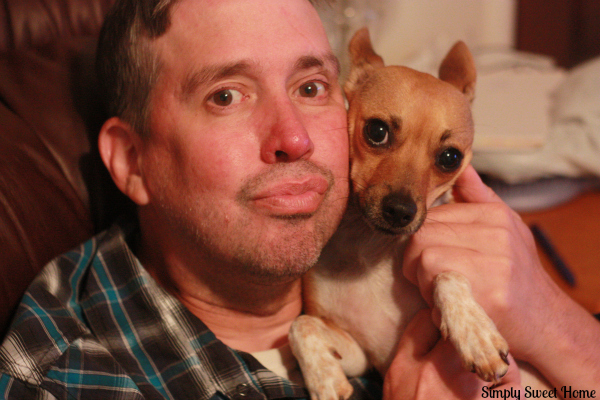 Our dog, Shadow, received some Vera Premium Dog Treats. The treats are products from a brand partner of the great folks at True Science. I’ve been so excited over the last couple of months to work with the folks at True Science and share their wonderful treats and flea medications with my animals! 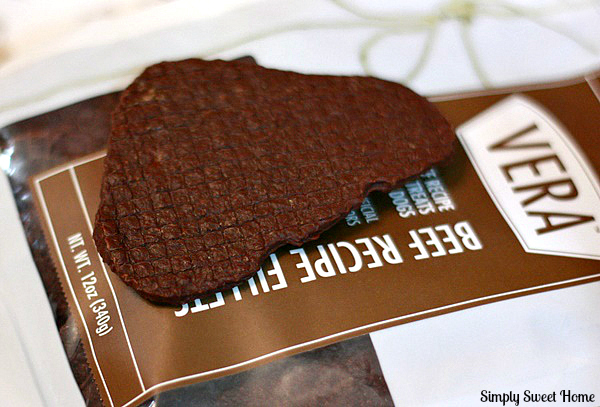 -They are premium treats that are made with real meat. -Their chicken fillet treats are made of 95% chicken, while their beef treats are made of 90% real beef and chicken. -The treats are corn free, wheat free, and soy free. Shadow definitely embraces her role as baby of the family. 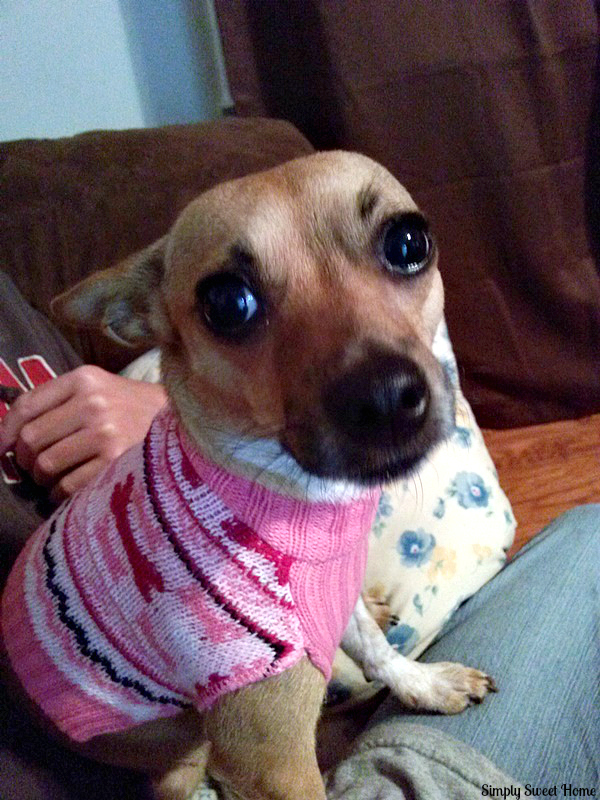 And because she’s the baby, I love to give her the very best of everything! Any food or treat that is healthy and nutritious for her gets a thumbs up in my book! And because the treats are big in size, they are perfect for bigger dogs, but are also something that you can pull apart for little dogs. Basically they offer something for everyone. Giveaway! Shadow is excited to share some treats with a couple of puppy friends out there! 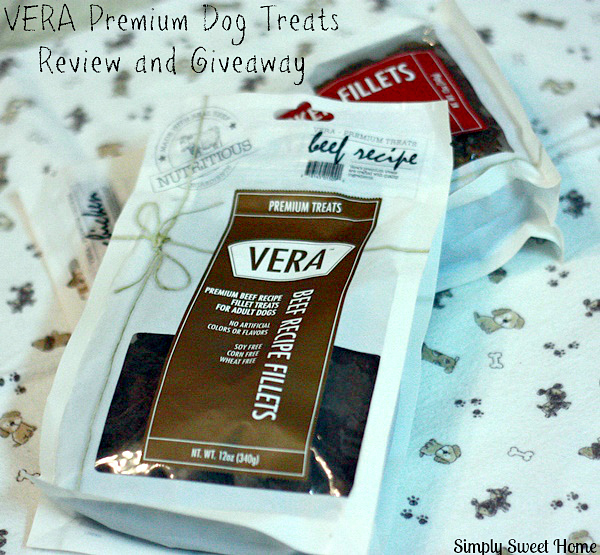 Two Simply Sweet Home readers will win some Vera Premium Dog Treats to give to their furry friend. 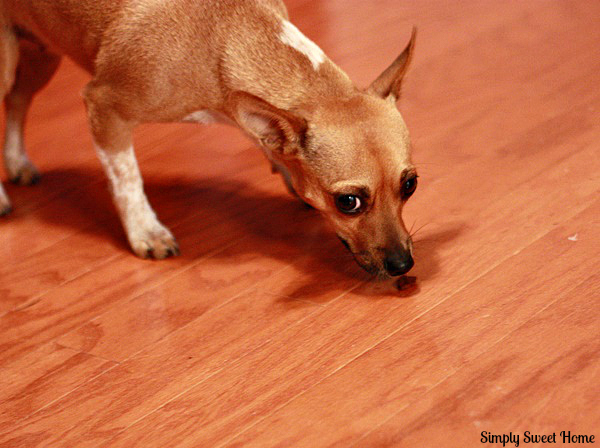 I found some Peanut Butter Creamy & Crunchy treats that my baby would love! I learned that they are made in the USA! YEAH! True Science is well-positioned to capitalize on the global trend toward pet health and wellness. Our brands cover many categories, including pet prescription medication, over-the-counter flea and tick treatments, pet supplements, and pet treats. I have 3 rescue mutts and they would love these treats and nice to see what else they sell too. True Science supports organizations like APAW that champion affordable access to pet care, including pet prescription medications, now available at retailers nationwide. I learned that not only are they made in the USA they test and audit the quality of their suppliers.